But I neglected to mention in my previous post that today is ELECTION DAY!!! 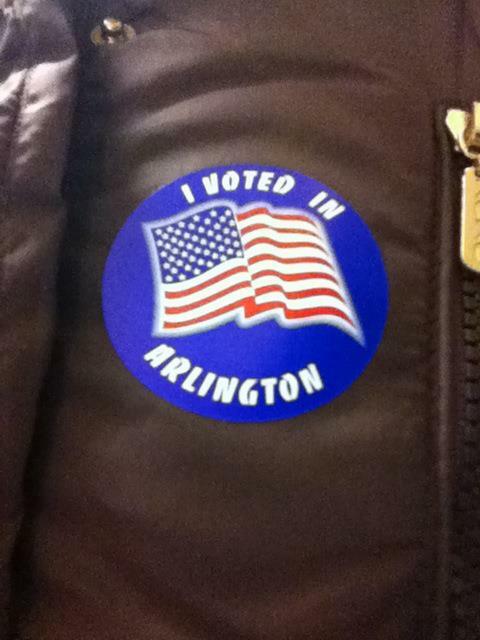 I woke up (very reluctantly… I was very grumpy) at 5:30 am to go stand in line to vote in Arlington, VA. Thankfully, I was out of their by 6:20 and at the gym by 6:30 … sweet! But seriously… GO OUT AND VOTE! Politics completely aside… even if you hate both candidates… go exercise the right that too many of us take for granted. Exercise the right many people are denied! Women didn’t always have the right to vote (I LOVED Ashley’s post today), and this year we are the MAJORITY OF VOTERS. Hell yeah ladies… now get out there and make us proud! Also… you don’t get to post your political opinions on Facebook and then not vote. Get out and participate in your Government!